The V-PLEX Cytokine Panel 2 (human) is optimized for long-term and multi-site biomarker studies that require reliable, reproducible results with lot-to-lot consistency. The V-PLEX Cytokine Panel 2 (human) includes eight key cytokines that are important in inflammation response and immune system regulation as well as numerous other biological processes. 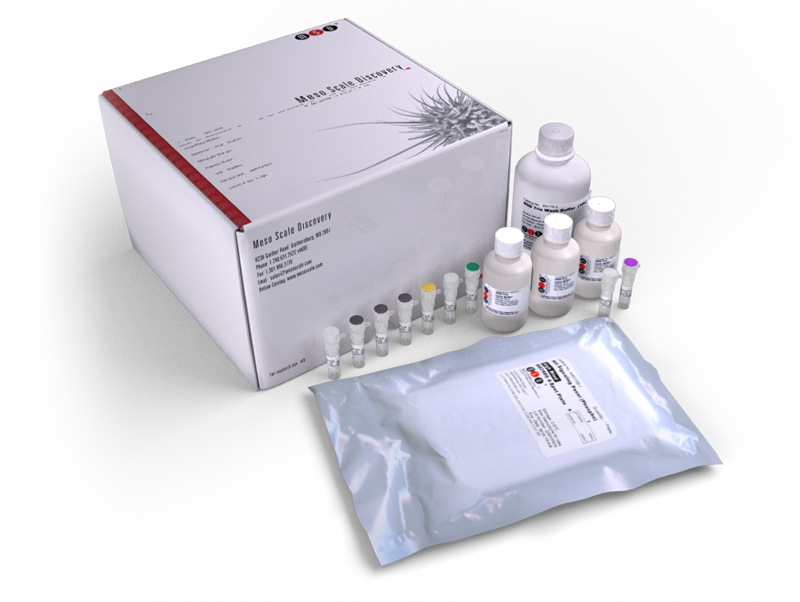 The kit enables the sensitive detection of native and recombinant IL-1RA, IL-3, IL-9, IL-17A/F, IL-17B, IL-17C, IL-17D, and TSLP in multiple sample types including serum, plasma, urine, cell culture supernatants, and PBMCs. To learn more about the advantages of V-PLEX assays click here. Calibration curve accuracy and precision for each analyte in the V-PLEX Cytokine Panel 2 (human) Kit were assessed and the representative data are presented below. Description - The Cytokine Panel 2 (human) measures eight cytokines that are important in key inflammatory pathways. Improper regulation of their proinflammatory activities contributes to numerous pathogenic conditions such as rheumatoid arthritis, psoriasis, multiple sclerosis, Crohn’s disease, asthma, and DIRA (deficiency of the interleukin-1 receptor antagonist). As a result of their association with autoimmune and autoinflammatory diseases, these biomarkers are the subjects of drug discovery projects, diagnostics development, and basic research. The utility of these biomarkers can be enhanced through multiplexing which reduces assay times and sample volumes. Disease Focus - Autoimmune disorders, cancer, intestinal inflammation, obesity, heart disease, asthma, cardiovascular disease, bacterial infections, and fungal infections.